Rafu shares another article from its community page. Be sure to check out the Rafu Shimpo website for more local and JA news. 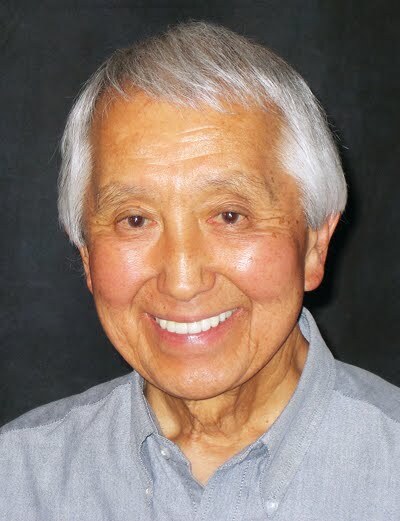 Gardena resident George Kobayashi, a Military Intelligence Service (MIS) linguist in occupied Japan, gave Go For Broke National Education Center's (GFBNEC) Hanashi Oral History Program its 1,000th unique interview in mid-March. Kaoru "Kay" Yokoyama followed that same afternoon as number 1,001 and Hanashi's first interview with a woman who worked for Civil Service in an office for the War Crimes Division, B Trials. GFBNEC is working with the US Army Center for Military History to collect 30 oral histories a year for a scholarly, objective and professional history of Nisei or second-generation Japanese American linguists who served in Japan from 1945 - 1952, during the US Military's post-World War II occupation. This is the second year of the three-year program. GFBNEC Hanashi staff captured 32 of these interviews last year and 20 so far this year. An estimated 3,000 Japanese Americans served during this period. Before beginning this project for the Center for Military History, GFBNEC had already interviewed several Nisei linguists who were in the US MIS during World War II and stationed in occupied Japan after the fighting ended. PFC Kobayashi arrived in Tokyo in 1946 and was assigned to the War Crimes Tribunal, A Trials. His job was to call the court to order every morning and sit in on questioning of those being tried to ensure that questioning did not damage the legal process. Kobayashi grew up in San Francisco where a high-school counselor told him he would never amount to anything because he was Japanese American. Disregarding his counselor, he applied to Berkeley in 1941 but his family was forced into the Topaz Internment Camp in Utah before he could finish his degree. He found a way to get out of Topaz by working on a farm and applied to the University of Utah to finish his studies. But, on the heels of an older brother in the 442nd Regimental Combat Team, Kobayashi was drafted. Kobayashi became a structural engineer after he completed his service in the MIS. Yokoyama was born in Glendale and raised on a farm on the outskirts of Burbank. On Pearl Harbor Day, she was with friends in the middle of a movie when a fleeting newsreel flashed a report of the attack. The newsreel was brief and she didn't recognize the significance of the event until she left the theater. Her father was arrested a few days later because of suspicion related to his service as a board member for a Japanese school. 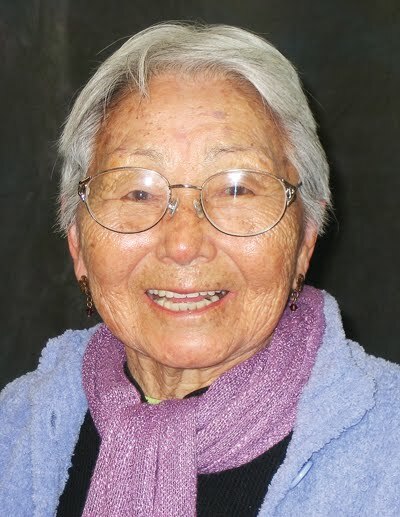 She and her family evacuated to an uncle's farm in Utah to avoid being sent to an internment camp. After sleeping in the barn with the animals because the house was too small to shelter the extended family, Yokoyama first joined a sister in Salt Lake City and then moving to Chicago with another sister. Yokoyama found a job working for the War Labor Board of the American Council on Race Relations. Yokoyama was recruited by the US Army as a civilian secretary to work for the Civil Service in Japan and signed a two-year contract, effective from the spring of 1947 through early 1950. She was assigned to the War Crimes Division, B Trials, and worked at the Yokohama courthouse until she was promoted to be the executive administrative assistant for the chief of the War Crimes Division, B Trials. Her job was to take hand-written transcripts and type them. In her work, she encountered General Douglas McArthur and other famous historic figures, along with some regarded as infamous. Assisting an investigator at Sugama Prison outside of Tokyo, she saw General Hideki Tojo, the 40th prime minister of Japan and leader of the country during World War II. Yokoyama now lives in Carlsbad, CA. The Hanashi team is traveling throughout California and nationwide to conduct its interviews with MIS Nisei veterans who served in Japan during its occupation. In addition to Kobayashi and Yokoyama, Hanashi's recent interviews for this program include Paul Ito in Sacramento; Fred Fujimoto, Elk Grove; Koji Kawaguchi, Woodbridge; Toshi Uesato, San Jose; Moffet Ishikawa, San Jose and Joe Kurata, San Francisco. More interviews in Northern California, Seattle, Texas and Minneapolis are planned. GFBNEC's Hanashi video oral history archives are the largest of their kind in the nation. They provide content for GFBNEC's teacher training and education programs and they're a valuable resource for museums, universities, journalists, corporations, academics, researchers, production companies, film studios and more. More than 700 of these personal stories are available to teachers, students, historians, researchers, veterans and their families, and to the general public on GFBNEC's website at www.goforbroke.org. Additional information about GFBNEC's Hanashi Oral History Program, including volunteer opportunities, is available by contacting Laura Shigemitsu, Program Manager, at 310-222-5705 or laura@goforbroke.org. GFBNEC also welcomes names and current contact information, including telephone numbers, email and mailing addresses, for Nisei who served in occupied Japan at (310) 222-5705 or Hanashi@goforbroke.org.